Garage Doors & Openers – Installation & Repair Florence, Ky – Cincinnati Door & Opener, Inc. When it’s time to repair or replace your business or residential garage door in Florence and Northern Kentucky, call Cincinnati Door and Opener, your reliable choice for fast, affordable garage door installation and repair. We offer new sales and installation of leading products, as well as repair of damaged panels, hardware, and openers. Our team of certified technicians is available six days a week, and can often get to you the same day you call. When you need help choosing or repairing a garage door in Northern Kentucky, let Cincinnati Door & Opener be your first call for friendly, reliable service fast. From a well-planned remodel to the accidental knocks and dings of life, there are plenty of reasons why a new garage door may be in the cards. Boosting your home’s resale value is just one of the advantages of a new garage door from Cincinnati Door & Opener, where we provide top quality products in a variety of styles, colors, and levels of energy efficiency. Whatever your goals for a new garage door, we can help. Our sales staff works on a no-pressure basis with free estimates, and we have great options at all price points. We can help you with a brand new garage door to freshen up your home’s curb appeal, or with smaller repairs that make your home safer and more energy efficient. When it comes to commercial properties, your business relies on garage doors at warehouses and loading bays, and as a key component of your facility’s security. When a company can’t open a bay to load a truck, it’s losing money. When it can’t close up a warehouse, it’s a target for theft and vandalism. Cincinnati Door & Opener is your fast solution for any kind of commercial garage door problem, with sales and repair of all types of systems. Whether your operation uses vertical lift or high lift doors, or a single, duplex, or triple spring design, we can help get your goods moving again, usually on the same day. Best of all, you can count on Cincinnati Door & Opener’s Five Year Parts & Labor Warranty. Fast, friendly service at a great price, and all backed up by a warranty you can count on: that’s how we do business in Northern Kentucky. Your garage door opener carries a lot of weight in your home, and when it fails, you need quick help to get your garage door moving again. The friendly technicians at Cincinnati Door & Opener are on call six days a week, and we can usually have someone to you the same day you call. We work with most major brands, including Marantec and Liftmaster, and our well-stocked trucks mean we can usually fix the problem right away. Don’t wait when your garage door opener fails. Cincinnati Door & Opener provides fast, friendly service that gets things working again, without breaking your budget. Call us today for a free estimate from an experienced technician. Your garage door should provide smooth, quiet, and attractive use to you for years to come, but it’s also true that we’re all one soccer ball or pressed gas pedal away from broken panels, snapped cables, bent tracks, or cracked springs. A lot of components have to work together to give you the kind of easy use you expect, and when a part fails, you can end up with loud operation, a poor appearance for your home, or a garage door that can’t open or close. The technicians at Cincinnati Door & Opener are highly trained, friendly service personnel who can usually be at your home the same day you call. We keep all of our service trucks well-stocked with parts, and our flat-fee service charge includes the first hour of work. We keep the hassle to a minimum and our team delivers quick, friendly, high quality work, so it’s easy on your wallet as well. When you need to repair a garage door in Florence or Northern Kentucky, call the team at Cincinnati Door & Opener, Inc. right away for reliable work from the area’s reputable garage door company. Cincinnati Door & Opener has been helping homeowners and businesses in Florence and Northern Kentucky choose the right garage door solutions, and keep them running right, since 1992. 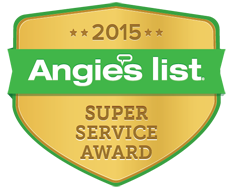 We’ve built our business by putting our customers first, and we’re proud to have received an Angie’s List Super Service Award for nine years straight, and maintain an A+ rating from the Better Business Bureau. When your garage door in Florence and around Northern Kentucky needs to be repaired or replaced, or you’re building new construction and want a top-of-the-line garage door system that integrates into your home’s security plan, we’d be honored to be the company you call. For garage door sales, garage door repairs, or garage door installation in Northern Kentucky, call Cincinnati Door & Opener today.